When you hurriedly book your ride to or from work today on your Uber app, there’s a small detail that you may or may not miss. Uber, first time in its 6 year run time, has rolled out a new logo and a new branding. The black and white upturned U against a black background, has been replaced with a blue square with many graphic elements and patterns in it. The new logo reflects the individuality of Uber’s local markets and has been personally looked after by CEO Travis Kalanick and designed by inhouse art director Shalin Amin. The colour and pattern of the logo will differ in each country, portraying its unique character and culture. 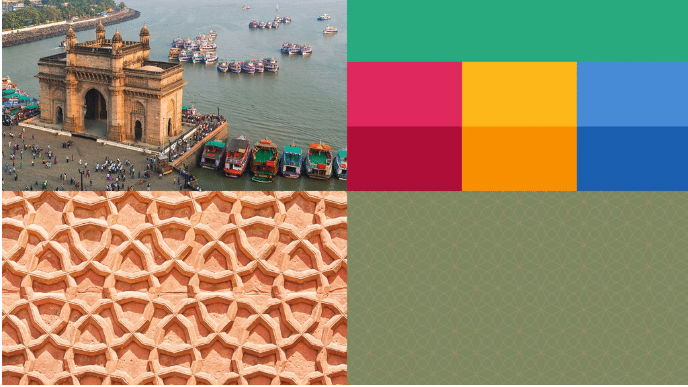 The Indian logo is inspired by its colours and architectural nuances. Explaining the new branding, Uber on its blog said. Uber began life as a black car service for 100 friends in San Francisco—everyone’s private driver. Today, we’re a transportation network spanning 400 cities in 68 countries that delivers food and packages, as well as people, all at the push of a button. And thanks to services like uberX and uberPOOL we’ve gone from a luxury, to an affordable luxury, to an everyday transportation option for millions of people….We are not just technology but technology that moves cities and their citizens.So today, we’re excited to roll out a new look and feel that celebrates our technology, as well as the cities we serve. Within hours of the new logo, reactions have been pouring in all over social media. While a few appreciate the change, most reactions have been rather cold. Many people in India have likened the logo to the SBI logo. While globally the logo has also met with some disapprovals. The resistance to acceptance of the change from a brand as prominent as Uber, which has come to be an everyday part of people’s lives is expected. Whether or not, the logo change really affects Uber’s mission to be everyone’s personal driver and transform the Commutech industry is anyone’s guess.